There’s more than counting one-two-three for children birth-to-five. 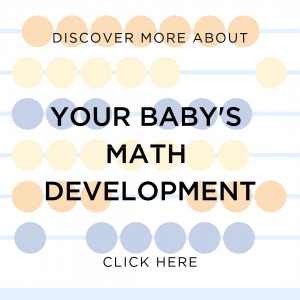 From the very first few months of your baby’s life, your little one is already laying the foundation for a lifetime of math learning. And with your help, your child will hit many celebration-worthy milestones. As your baby explores and learns how routines work, they are learning about order and sequence. Does your toddler love puzzles? That’s because they’re beginning to understand how different shapes fit together. 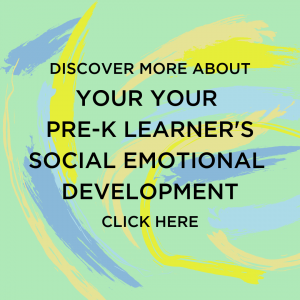 Is your child preparing for kindergarten? Watch in delight as your little one counts beyond 10 or see them add two plus two for the first time. Understanding different shapes and sizes. When it’s bath time, give your baby containers of different sizes and watch them try what each container can do. The little ones make small splashes, that the bigger container of water makes more of a mess. And who doesn’t love a mess? As your baby splashes and squeals their delight, they’re also learning the basics of measurement. Putting things together and taking them apart. You don’t need special fancy toys to teach your little learner about geometry. Your little one is building early geometry skills when they explore how different things fit together. Watch how they play with regular objects or toys – this car on top of that block, the stuffed dinosaur inside the playpen, the blanket on their head, then off… peek-a-boo! This is all math learning, too. Does your baby tap their toes to the beat? Clap along to their favorite song? They’re enjoying the music, but they’re also learning about rhythm — an early mathematical patterning skill. Find songs that are slow, songs that are fast and songs that change pace. A good dance party is also a math party for little learners! That’s right! Counting is not the only way your child learns about numbers. Breaking crackers or other foods into smaller pieces teaches your little learner what numbers look like and how they work. Say the numbers as you snap a carrot in two, or just line crackers and veggies as you say your numbers. One for you, and one for me! The difference between dogs and cats…and other things! Try this game with your toddler: Ask her to put all her stuffed animals in one pile, all her blankets in another and all her toy cars in another. Chances are, she’ll know exactly what to do! She’s understanding how some things are similar and how others are different. As she learns, notice how eager she is to share that knowledge to you! Once the laundry is clean, sorting and matching socks lets you mix math and chores. Use descriptive language to invite your child to take the lead on sorting. “Can you find all the tiny white socks? They’re for your baby sister.” “Where is the other giant blue-striped sock for Papa?” The job may take a little longer, but it builds your child’s sense of responsibility and sorting skills! Build number skills before family meals. Ask your child to help you set the table for dinner. “I have five forks. But there are only four seats at the table. Can you put a fork at each place? How many forks do you have left?” Count together if a question feels challenging! Make a game out of counting and comparing numbers! Understanding numbers and amounts can feel magical to your child. Celebrate counting successes: “You can count to 20! NO WAY!” Encourage comparison alongside counting: “How many rocks did you collect? Fifteen rocks! That means you have more rocks than toes.” The more you play with numbers, the stronger math skills become. The wonderful world of math. “The sign says each bag has five avocados. Let’s count them.” Point to numbers in your world. Recognizing numbers from one to ten is part of the normal development for this age. It’s also a skill needed in kindergarten to build toward bigger math skills. At the store, on the road and at home, share how you use numbers to help your child understand why they matter. Babies —Hand clapping is more than just fun for you and your baby. 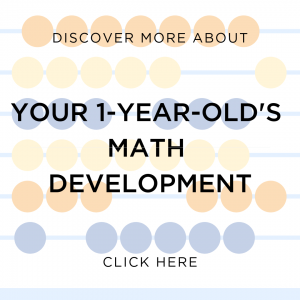 One-year-olds — As he continues to make sense of his world, he’s learning the basics of numbers, geometry and measurement. Two-year-olds — It’s an exciting new world when all the numbers start making sense. Just ask your toddler! 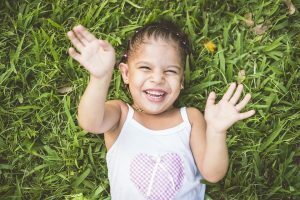 Three-year-olds — When she says, “Your feet are the bigger, and mine are smaller,” what she’s really telling you is that she’s compared them both to each other—and that she can measure. 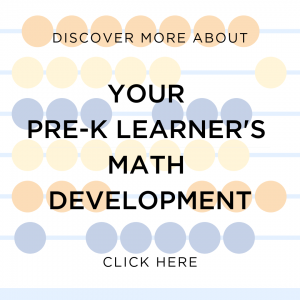 Pre-K learners — The most important thing you can bring your child in this area now is not a list of facts, but a way of thinking: The belief that math really can be interesting, useful, and even fun.